Lleyton Hewitt has fallen to a red-hot Florian Mayer as Germany levelled the Davis Cup tie against Australia at 1-1 after Bernard Tomic won the opening rubber in Hamburg. Mayer defeated Australia’s greatest Davis Cup servant 7-5 6-3 6-2 in two hours and seven minutes on clay at Rothenbaum Stadium. It was Hewitt’s first straights sets singles loss in Davis Cup since 2005. 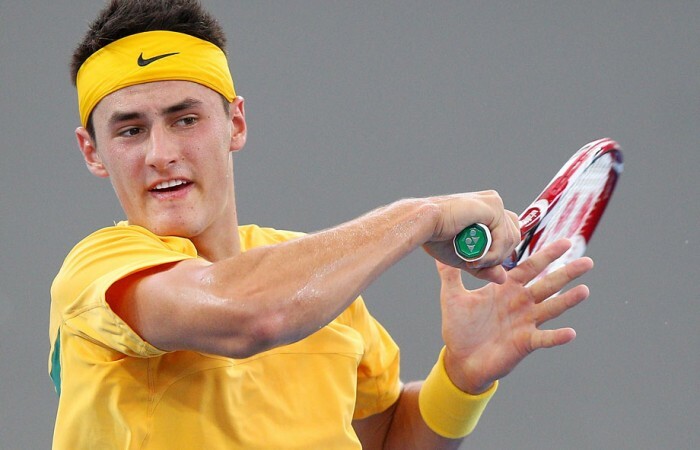 Bernard Tomic earlier opened Australia’s account with a 2-6 6-3 6-4 7-6(4) victory over world No.127 Cedrik-Marcel Stebe in three hours and 17 minutes. Tomic had to overcome cold, blustery conditions for his win on a sluggish court with the roof being shut for Hewitt’s clash against Mayer. In the calmer conditions, the world No.25 German outplayed Hewitt from the moment the Australian served for the first set at 5-4 and 30-15. Australia must win the tie to return to the elite World Group next year for the first time since 2007. Hewitt and Chris Guccione will team up in the doubles against Philipp Petzschner and Benjamin Becker on Saturday before the reverse singles on Sunday. 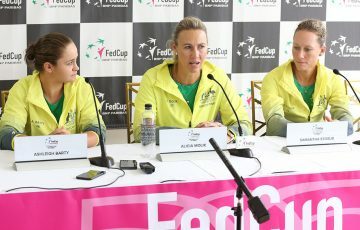 The Australian doubles combination have a 3-0 record in the competition while the Germans have never played doubles together at Davis Cup. Mayer is due to play Tomic first up on Sunday and there is a chance of the Germans putting Petzschner in for Stebe for the fifth rubber against Hewitt. 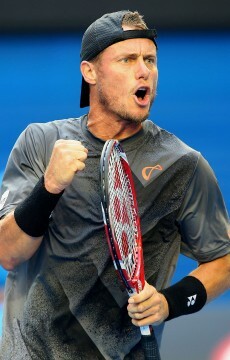 Hewitt said that Mayer had just been too good on Friday. “I tried to weather the storm … I was only a couple of points away from winning that first set and that would have been nice,” he said. “At least to put a bit more scoreboard pressure on him and know he is going to have to go at least four sets to win. Tomic was relieved to have chalked up his win. “It was a rough week and I am happy to get out there and play really well and get one point for Australia,” he said. The teenager said he had felt the pressure as the nation’s top-ranked player with a World Group spot up for grabs. “Your team is expecting a lot from you,” he said. Watch the action tonight from 11 pm AEST on 7TWO (see below for more details).